Haven’t you noticed? Java, the red-headed stepchild of the phone world, has conquered the world by default. The platform written off just a few years ago as bloated, cumbersome and inefficient is now inescapable. It’s actually down to desperation by the two fallen stars of the handset world, Nokia and RIM. Android, another Java system, I will presume you know about. When Nokia capsized the unannounced Meltemi project, it marked the third platform the Finns had torched in a year. Meego and Symbian have already more or less bitten the dust. A handful of the 3,000 Symbian engineers transferred out of Nokia into Accenture, where they still work on bug fixes, we gather. But as exclusively predicted here back in February, the roadmap was torn up and the 808 PureView will be the last Nokia Symbian phone. That leaves Nokia with Windows for its tightly specified smartphones, and just one platform – Series 40 – for everything else. Underneath, Series 40 is still the ancient body of code called NOS (Nokia Operating System). But anything more sophisticated than a fart app needs the Java frameworks. Alongside Nokia the other great casualty of recent years is BlackBerry, which has been obliged to follow suit. Like Nokia, RIM has modernised its ancient OS offering by building a Java infrastructure on top. To remain competitive, RIM and Nokia need their basic devices to run not just apps deemed to be ‘essential’ - like Twitter, eBay, Facebook and Angry Birds - but as many of the more specialist apps and services – eg, Evernote and DropBox – as they can muster. There’s no quicker way to lure in developers than by slapping a Java framework on top. There is irony aplenty in this. 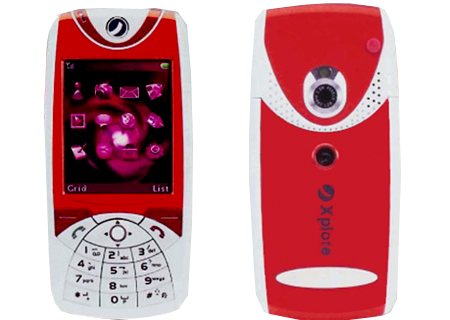 Java has been a runtime solution in feature phones for almost a decade. It’s the splash screen everybody cursed while waiting for their game to load. Java as the phone OS itself never took off, for a number of reasons. 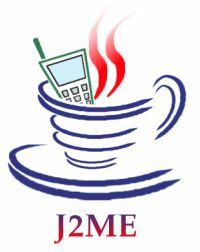 At one point the mobile operators ganged together to advance their own favoured OS – based on Java – called Savaje, via their OMTP club. Orange and Vodafone were key investors. Thirty months later, we reported that the project had bitten the dust, "leaving a few million lines of code and a bunch of arguing venture capitalists". Sun Microsystems could never quite decide what to do with Java, and management was by consensus and committee – a recipe for indecision. El Reg’s Bill Ray wrote a book on developing in PersonalJava, and recalls how weeks after publication, Sun abandoned it in favour of the less-functional but lighter J2MEE. It isn’t hard to see why Java failed to become a platform during the first half of the last decade. Footprint, battery life and performance were all suboptimal. But this has a hangover today. The consequence for Nokia and RIM is that they threw their stellar reputations for making phones with incredible battery life away, simply to keep the ship afloat. The latest BlackBerrys are really quite slick – but at a cost: they deplete the battery as rapidly as any touchscreen monster smartphone. But since the iPhone and Android took off, the market doesn’t seem care about call quality or battery life – it values apps and flawless graphical animations more highly. So it’s a trade-off Nokia and RIM feel they have to make.